The $8 Million Dollar iPhone! 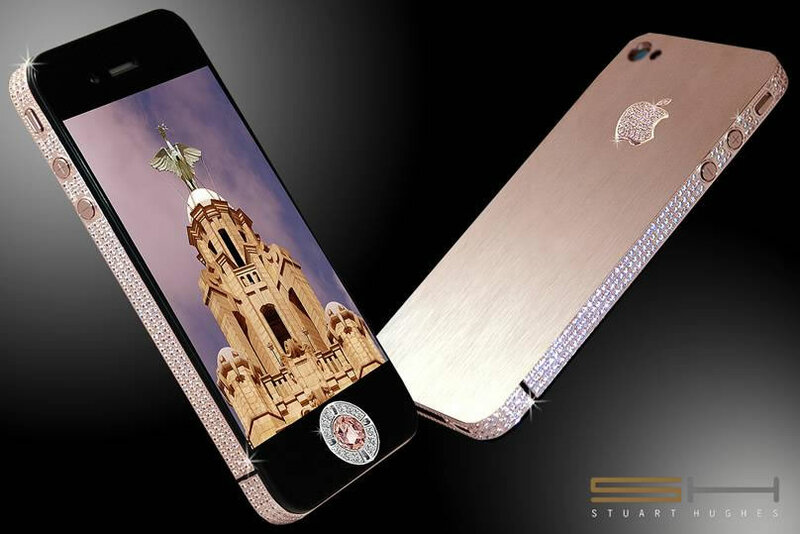 British luxury goods designer Stuart Hughes has created the world’s most expensive mobile phone — the iPhone 4 Diamond Rose. This 5 million British pounds (US$ 8 million) iPhone is hand-crafted by Hughes with 500 individual diamonds around the gold shell totalling more than 100 carats. The back of the iPhone is in rose gold and the Apple logo has 53 diamonds. The main button has a single cut 7.4 carat pink diamond with platinum around the navigation edge instead of plastic.